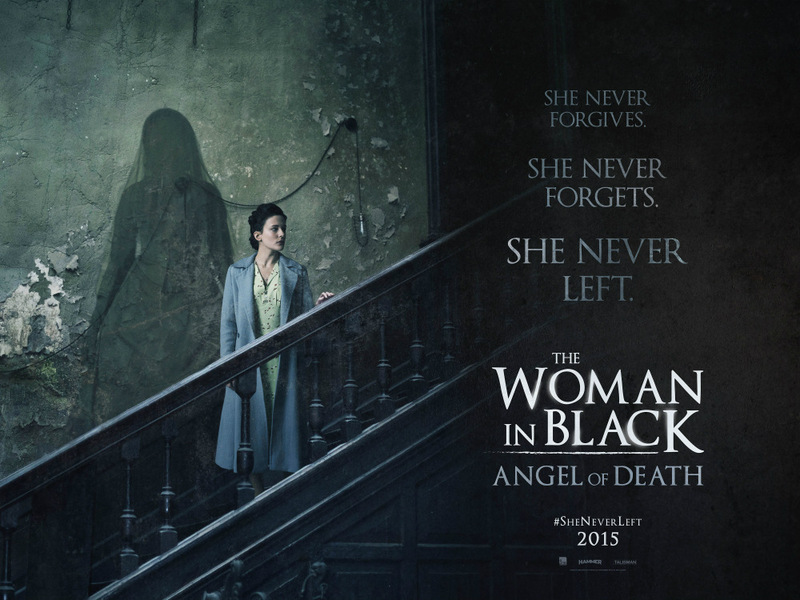 Hammer’s The Woman in Black (dir James Watkins) was the runaway smash hit of 2012 and it was almost inevitable that a sequel would come along. 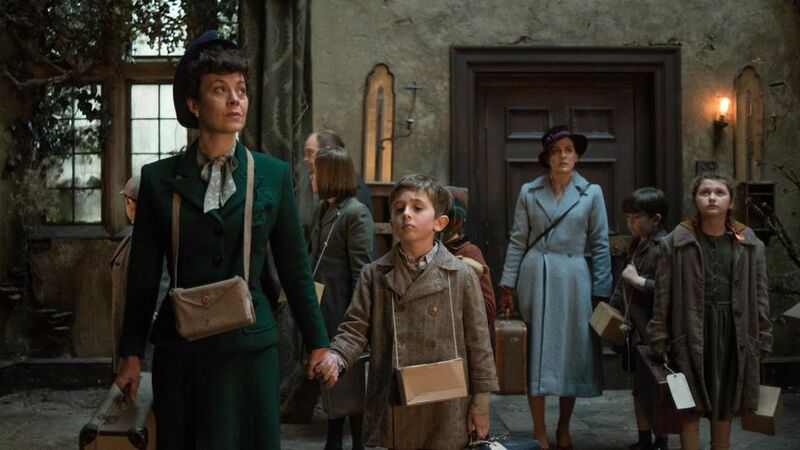 The Woman in Black 2: Angel of Death (dir Tom Harper) is set during WWII and is the story of Eve, played by Phoebe Fox, a teacher who, along with her headmistress, (Helen McCrory) is tasked with evacuating a group of school children from London to relative safety in the countryside. The group must stay at the ill-famed Eel Marsh house, but upon arrival, they learn that they are the first group to arrive and will be alone in the house for a week. Eve is drawn to look after one child in particular; Edward, who has recently been orphaned and is so traumatised that he cannot speak. Eve feels connected to him because she has not recovered from the lost her own child upon birth to the authorities. Eve and Jean her headmistress have very different ideas about how to deal with children (Eve is soft and Jean is stern) All of these factors make Eve and Edward extremely susceptible to the effects of the eponymous ‘woman in black’ who, still bitter from the loss of her own son out in the bay, enjoys killing children and snatching their souls just by appearing to them. Needless to say all the evacuee children are in danger. Angel of Death’s World War II setting adds to the haunting air created by the beautiful, and atmospheric set design, cinematography and costume. Using the experiences of the evacuees as a backdrop is very interesting and evokes the loneliness and isolation of life in a strange place in the middle of nowhere. Angel of Death keeps true to the period thematically; the women are left on their own to look after the kids in a house with limited resources, the only adult male figure is Dr. Rhodes, (Adrian Rawlins) who was presumably not called up to fight due to his age and job role, and is extremely busy playing his part for the War effort in other ways which, as he explains to Eve at one point is why he is unable to help the women with the repairs of the house. 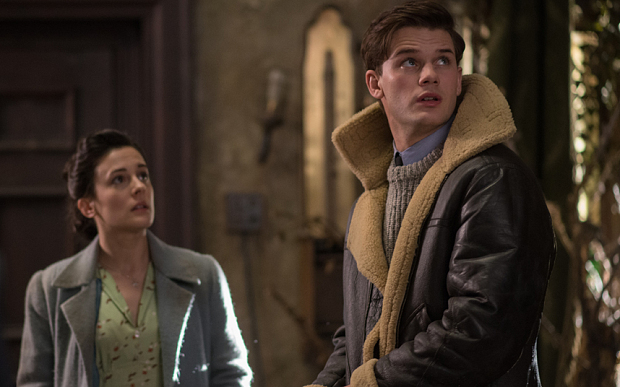 There is, of course, Jeremy Irvine as pilot Harry Burnstow, who is perhaps a little wooden, however, I presume this is intentional as I believe his character represents the ghosts of all the young men who have gone off to War never to return. So although he is a love interest for Eve and a real live character I cannot really count him as a live male figure within the film because he is fated from the first to forever live with his dead flight crew at the bottom of the sea. Trauma is a prominent theme in this film. Characters like Jean, who comes from a family of professional soldiers, and the Doctor who has his training find it easier to cope and carry on with everyday life but characters like Eve and Edward, who represent the ordinary civilian population, find it harder to deal with the pressures of War and loss. Harry is so traumatised by the deaths of his crew that he can no longer fly due to his acute fear of water, he has become a shell. 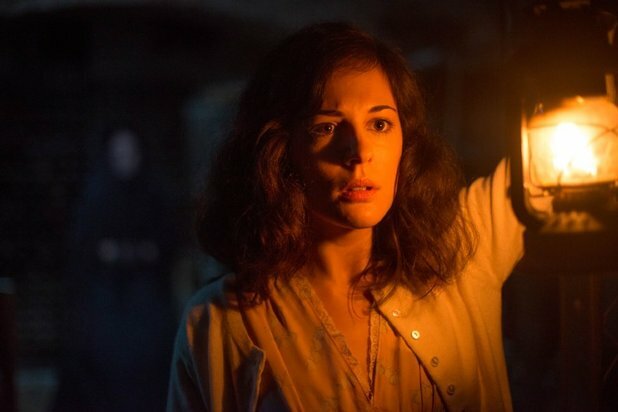 Fox gives a brilliantly subtle performance as Eve, who tries to smile through her sadness, suicide is another big theme of the Woman in Black films, and there are a few moments during the film where it is hard to know if Eve (or Harry for that matter) has the will to make it through to the end. Despite the lackluster reviews I personally prefer the classic ‘British ghost story’ atmosphere of Angel of Death. The film is rammed full of hard jump scares, mostly genuine ones too, which keep you glued to the edge of your seat. Angel of Death may not be an earth-shattering horror film, but Hammer consistently produces good quality horror films with a beautiful, classically Gothic aesthetic. Worth a watch.